Smt. 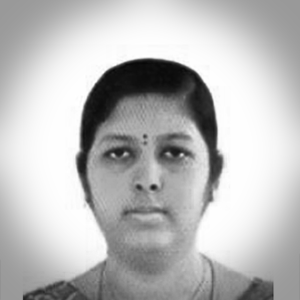 Alarmelmangai D. is a dynamic, energetic IAS officer. Currently holding a key position as a Director, Department of Commerce & Industries, Export Commissioner and Director, Geology and Mining for Government of Chhattisgarh. Under her able guidance Chhattisgarh again ranked 4th in Ease of Doing Business as per World Bank Report 2016. Also Smt. Alarmelmangai D. initiated state wide drive for promoting MSMEs, Start-ups and facilitating investors meet. This initiative is unique as its paradigm shift in approach wherein the investors at district level are engaged by apprising the about the opportunity to unleash the growth potential. State have undertaken unprecedented reforms to create an enabling business ecosystem and State Government is committed to offering best-inclass facilities to our investors. The department plays developmental & facilitation role to attract industrial investments, promote MSME and also strengthening the start-up ecosystem in the state. It focuses on creating a start-up friendly environment and formulating suitable policies in the state aimed at propelling fast pace modernisation & strengthening of the Start-up ecosystem. The Department under the able leadership of Smt. Alarmelmangai D. recently completed a major outreach initiative for start-ups under “Start-up Chhattisgarh Grand Challenge” where 36 start-ups from the state had been identified and incubated from 3850 ideas submitted. Data Infosys Limited is a pioneer in IT Services in India with expertise in Internet, Networking, Web Technology, Software consultancy with services significantly Broadened to meet the all-time more sophisticated business and technology needs of today’s global environment and seeking to revolutionize the way people use Internet to communicate, conduct business, gain information, and carry out transactions.